We’ll notify you with an email when your Special Order quote is ready (usually within 24 hours). 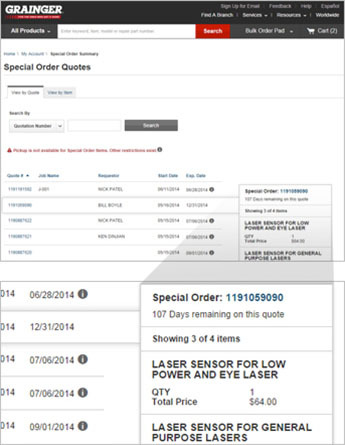 Then you can order directly from your quote on Grainger.com® under "Special Order Quotes"
Save time and money by consolidating your unplanned purchasing through one supplier. Find what you need now! Call 1-800-GRAINGER, your local branch or your Grainger Representative today! Accurate Mfd. Products Group, Inc.